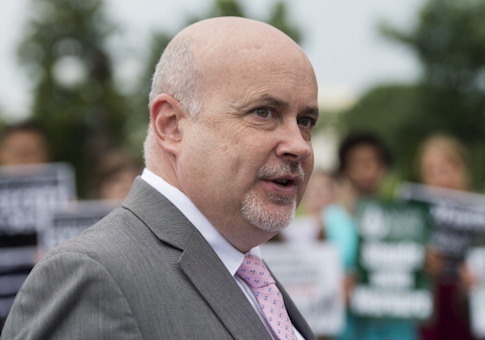 Democratic Rep. Mark Pocan (Wis.) announced Monday he is introducing a bill to abolish Immigration and Customs Enforcement (ICE). In a tweet, Pocan called out President Donald Trump "and his team of white nationalists," for misusing ICE so it can "no longer accomplish its goals effectively." "During my trip to the southern border, it was clear that ICE, and its actions of hunting down and tearing apart families, has wreaked havoc on far too many people. From conducting raids at garden centers and meatpacking plants, to breaking up families at churches and schools, ICE is tearing apart families and ripping at the moral fabric of our nation," Pocan said in a statement. His press office said his bill would create a commission to provide recommendations to Congress on how the U.S. can develop a more humane immigration system. Pocan joins three other congressional Democrats who have called for the law enforcement agency's abolition. Rep. Earl Blumenauer (Ore.), who wrote a post about abolishing the organization, said he voted against the formation of ICE 16 years ago and has been "concerned with the actions of the agency for quite some time." Democratic Reps. Pramila Jayapal (Wash.) and Jim McGovern (Mass.) also have said they want to get rid of ICE. Not all progressives are behind abolishing ICE, however, including Sen. Bernie Sanders (I., Vt.). This entry was posted in Issues and tagged ICE, Illegal Immigration, Immigration. Bookmark the permalink.